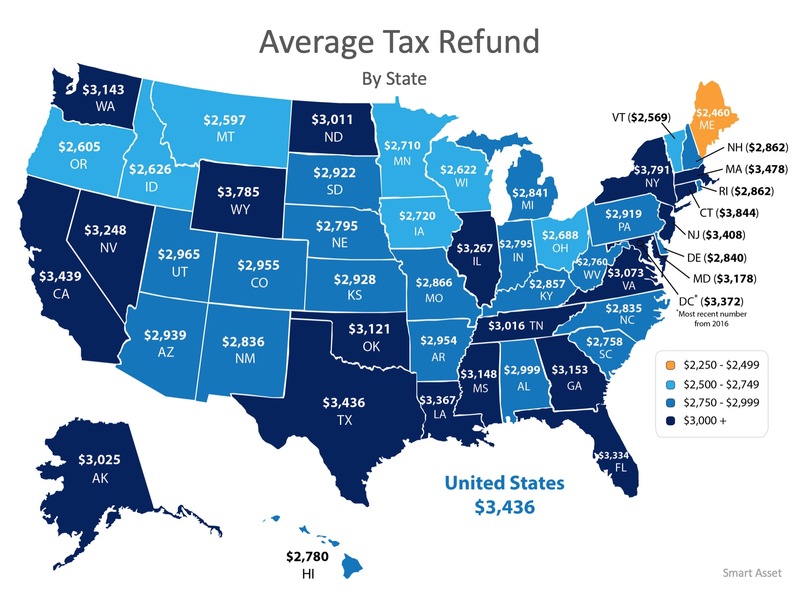 Americans can expect an estimated average tax refund of $3,143 according to the IRS. This is down slightly from the average refund of $3,436 last year. Tax refunds can be considered extra money to use toward larger goals. For anyone looking to buy a home in 2019, this can be a great jump start toward a down payment! 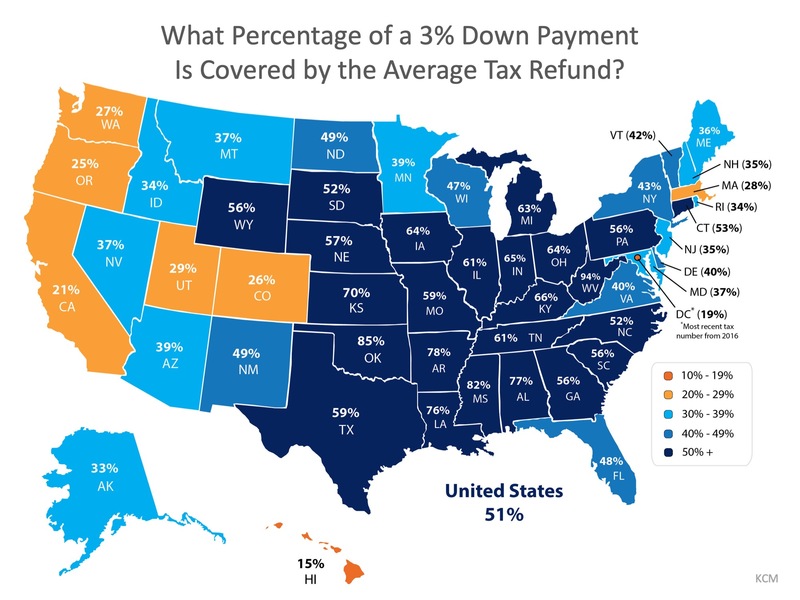 If you started your down payment savings with your tax refund, how close would you be to a 3% DP? The darker the blue, the closer your tax refund gets you to homeownership! For those in Colorado looking to purchase their first homes, their tax refund could get them 26% closer! Saving for a down payment can seem like a daunting task. The more you know about what’s required, though, the more prepared you can be! This tax season, your refund could be your key to homeownership.